UFO SIGHTINGS DAILY: Alien Creature Found On Mars Near Rover, Sept 2015, UFO Sighting News. Alien Creature Found On Mars Near Rover, Sept 2015, UFO Sighting News. 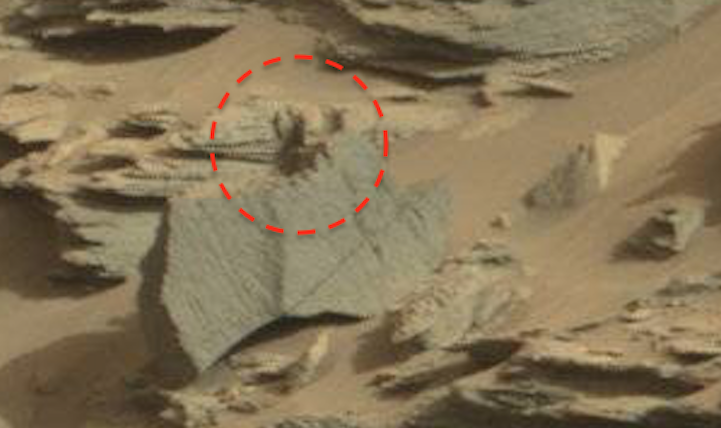 Life on mars...sure it sounds strange, but why? Because were were taught by our government that life doesn't exist on other planets. We have been programed to think they are correct. Don't challenge authority, not when so many trust it. Well, I was one of the trusting long ago, but that all changed when I found things in a Mars photo. 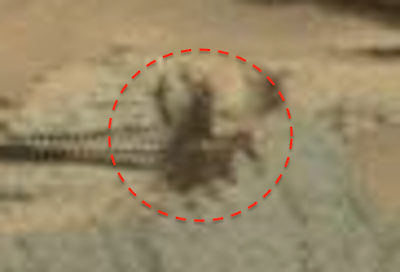 In this photo (Sol 1100) I found a living creature, with a black exoskeleton, much like a desert beetle or scorpion might have. The creature is sitting on top of a rock, so that it can see farther away, probably for hunting purposes. It also has one upraised arm wit three claws on its end. 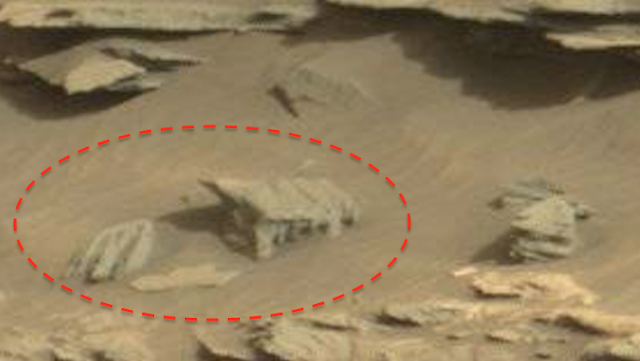 It probably didn't move while the rover was there, since it would be conserving its energy. Movement would be reserved for hunting...surviving. I also found the roof of a small structure. 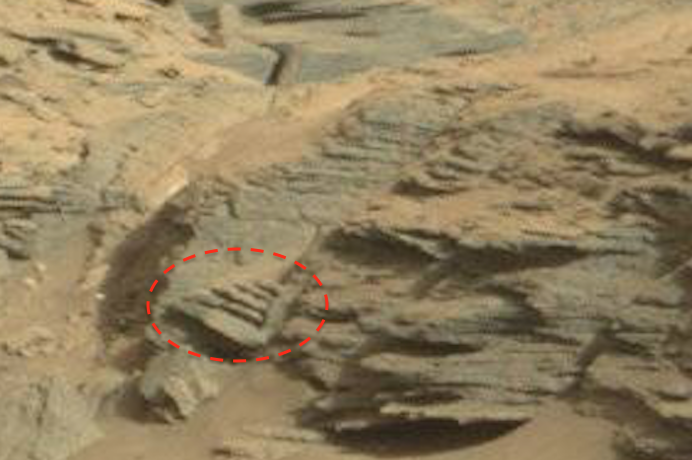 This structure would match the size of the tiny women figures we have been finding. Three come to mind. The roof has corner supports and bars going down where walls would have once been. This image was taken by Mastcam: Right (MAST_RIGHT) onboard NASA's Mars rover Curiosity on Sol 1100 (2015-09-10 03:51:38 UTC).